From the airport Belp Belp we fly by helicopter over Riggisberg, Adelboden, Wildstrubel, past Sierre and the impressive Dant Blanche to the mighty Matterhorn. After you could explore this world famous mountain up close, we fly over Zermatt, Visp, Petersgrat along of a mountain in the Diemtigtal. 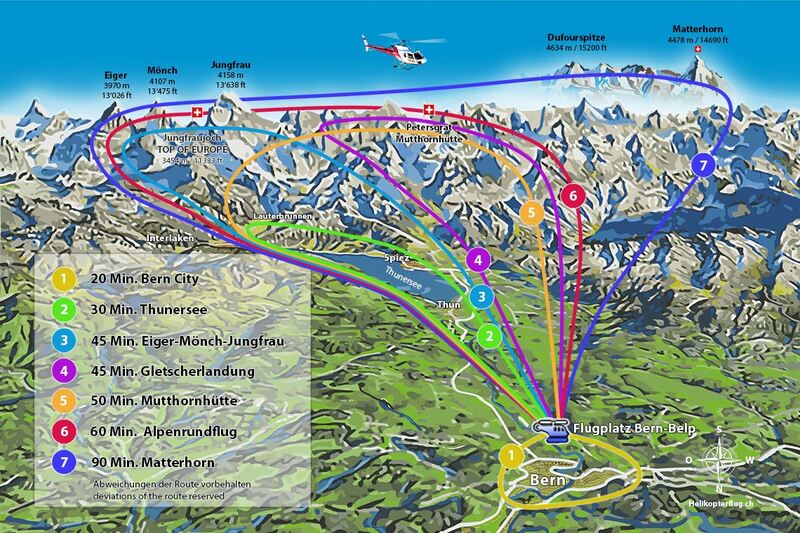 After a stop at a restaurant we fly then again over Lake Thun back to Bern-Belp airport. The flight time is 90 minutes.